Elegant height-adjustable platform works with any laptop and is styled perfectly for MacBook®, placing it wherever you want to work. Alternatively, it makes an excellent writing or drawing surface that moves where you do—set up is simple. Instantly creates an ergonomic, minimalist station that enables you to stand more and sit less, improving your output and overall health. Generous worksurface, perfect for laptops of any make or size. Can be used as a supplementary surface for writing or drawing with a graphics pen tablet. Designed to perfectly complement the look of Apple’s MacBook Air and MacBook Pro. Fluid, one-touch motion with patented CF™ Technology. 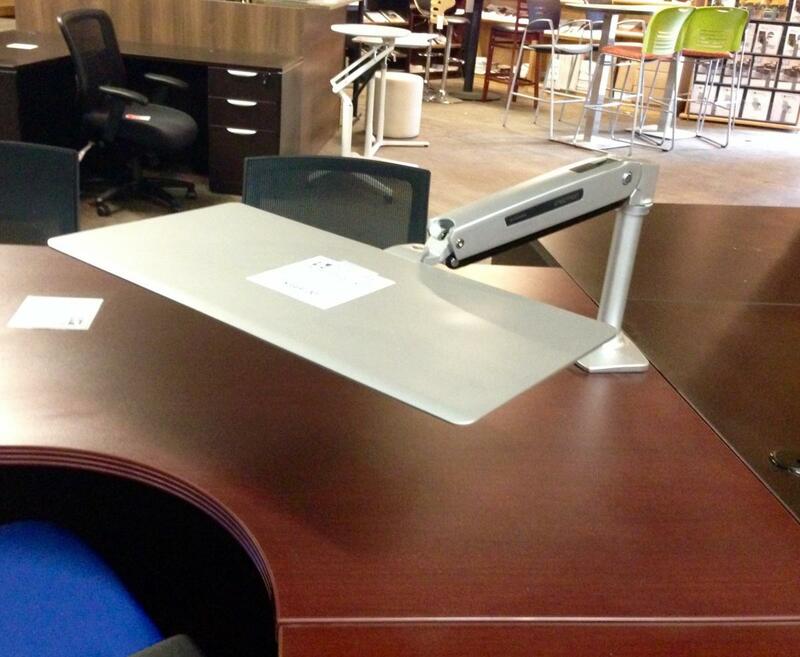 I would like to receive pricing for the following item: Ergotron WorkFit-P Sit-Stand Workstation.